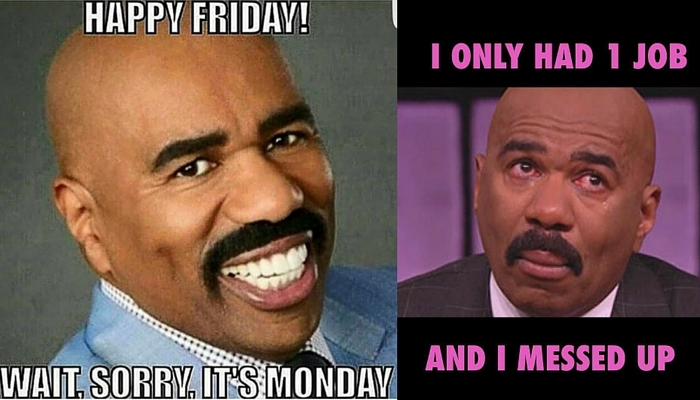 Ouch Steve Harvey, that was pretty embarrassing! In case you missed it: comedian, actor, game show and radio host, Steve Harvey hosted the 2015 Miss Universe Pageant last night, but when it came time to announce the winner, Steve may have ‘misread the fine print’ and announced Miss Colombia as the winner when she was really the first runner up and the crown actually belonged to Miss Philippines. It’s probably one of the most awkward tv moments you ever experienced, that people will be talking and memeing about for a long time and you can tell that Steve was completely embarrassed as he apologized, took full responsibility for the mistake and walked off the stage. The good news is that you can recover from an epic fail like this and your first step is to do exactly what Steve did: apologize. Accepting responsibility in a crisis, especially when you’re at fault, eases the defensiveness of those you have offended and as embarrassed as you may feel, it puts you in a much better place to deal with the crises, rather than feeling guilt or uncertainty over the situation and acting irrationally. Even though he did point blame, he did it off camera and AFTER he made a public apology and took FULL responsibility. Steve knows the teleprompter was a backup and the responsibility was entirely on HIM. Right Steve? I mean which one was it, were you reading the teleprompter or were you reading the card?? It does make me wonder though; in those 10 seconds of suspense all hosts like to take before they announce the winner, wasn’t that enough time to check and double-check what the card said? Lol…ok I’ll stop, none of us are perfect, we all make mistakes, of course it’s easy to say what YOU would have done…blah, blah, blah, I digress. but the idea is not to listen to make yourself feel bad, but listen for the genuine concerns that come from those who truly felt offended. So if the Colombians felt disrespected, Steve could forge a way to rebuild a relationship with them in some creative way and if they don’t accept, then at least Steve knows that he tried. You can’t change the past, we can only decide how to work together going forward and if they refuse then that’s them, not you. Don’t be so hard on yourself. You’ll find that people are much more understanding than you give them credit for and if you have built up a strong brand like Steve has, this is not something that will put a dent in your integrity. Steve will surely get calls to host other shows and depending on how far away we are from this incident, he may even make a little joke about it. When some time has passed, after an epic fail, it might be a good time to start to play up some of the good things you have done. It will remind people that for the most part, you’re a good person, whether you are directly helping others or just being a positive role model in this world. Lastly, as your friendly neighborhood PR Girl I’ll say: let’s try not to do that again. You slip-up once, that’s all good, you’re forgiven (maybe), slip-up twice and you might not recover from the humiliation for a while. You will now be known for your slip-ups and it will most likely follow you to your grave…I hate to sound bleak but the world, as forgiving as we are, can also be a tough crowd and unrelenting if you push the wrong buttons. The moral of the story is that a mistake is a mistake. You know you have good intentions and don’t mean to harm anybody. Don’t hide and avoid people, instead face the problem head on and even ask them how they felt you handled the situation. Only then will you really know the next steps to take to rebuild the relationship and mend your reputation. Have you ever suffered an epic fail? Share with me in the comments below.